Yogurt. Everyone's doing it. 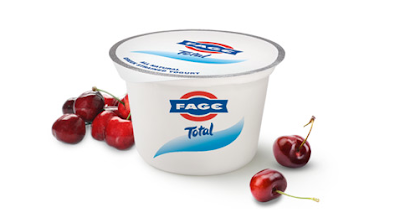 Fage. Kefir. Skyr. Chobani. Oikos. Wait...are we still talking about yogurt? What happened to plain old fruit on the bottom? Turns out, the yogurt industry is blowing up right now. In fact, sales of greek yogurt alone have increased by 100% every year in the past three years. Why? Well, amazingly clever marketing for one (thank you, Jaime Lee Curtis). But, mostly, this trend is based on some pretty sound science and increasingly savvy shoppers. JLC doing couch things with yogurt. Probiotics are live microorganisms (bacteria and yeasts, mostly) present in food which offer some sort of health benefit. You will see them on your yogurt label as "Live and Active Cultures L. Acidophilus, S. Thermophilus, Bifidobacterium or L. Bulgaricus". Each one acts slightly differently. 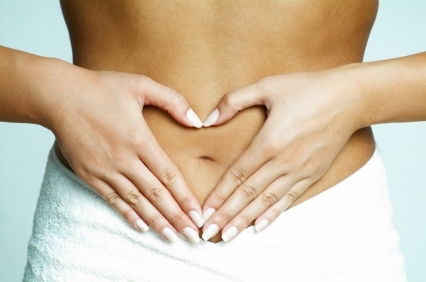 It was originally thought that the cultures in yogurt would change the microflora in your colon. Microflora are the bacteria that live in your gut (they took up residence the day you were born) that do things like break down fiber and keep you from getting sick. Within your microflora there is a balance of "good" bacteria and "bad" bacteria (kind of like good stress and bad stress). You need both, but you want the good bacteria to win out over the bad. While research is still being conducted on what exactly is going on with your microflora (as it turns out, taking samples from your colon in real time is pretty difficult...), it actually seems as though yogurt has less direct effect on the balance of the good and bad bacteria colonies than scientists originally thought. Instead, it appears as though the little cultures in the yogurt go to work on your metabolism, particularly by regulating the enzymes that break down carbohydrates (like the ones found in fruits and vegetables). While it's a little premature to say for sure, this may be why yogurt has been found to be so helpful for those with Type II Diabetes. Interestingly, researchers have also found that yogurt can counteract the negative effects that nasty amines can have on your DNA after you eat meat cooked at high temperatures. Again, while it's a little early to say definitively, this could be the reason that people who eat a lot of yogurt have much less incidence of colorectal cancer. So, increasing your yogurt intake is most likely good for your long term health. But, which kind of yogurt? There are about a million on the shelf. Greek, Skyr (Icelandic), Kefir, good ol' fashioned Yoplait. Is one better than another? Stonyfield. A solid local choice. Well, as it turns out, probably. There are a few things you want to consider when you grab your little cup of active cultures. First, check the calories (obvi). Most likely, you aren't making an entire meal of your yogurt. So snack portioned calories are key. Around 150cal/cup is probably about right. Second, check the SUGAR content. Fruit on the bottom is KILLER for sugar (and added calories). So is that little side-car that you find on so many greek containers these days (although, if you need the sweet, this is a good way to meter your sugar intake because you can add smaller amounts yourself rather than stir it all in from the bottom). Honey on plain yogurt is also a super healthy way to take the edge off the tang. Third, check the FAT content. Low fat yogurt has been shown to be the best for the health benefits (despite those high fat "guru's" exaltations that unlimited saturated fat is good for you...it's still not). FYI: Fage full fat yogurt contains 8g of saturated (bad) fat. That's ~25% of your daily value in one little snack cup and also as much as you would get from ~two Snickers bars. Yikes! So, which kind of yogurt is the best? Well, it seems as though Greek yogurt is the big winner in all categories. The hype is bang on for this one. Less sugar. Low fat options. Twice the amount of protein as regular yogurt. 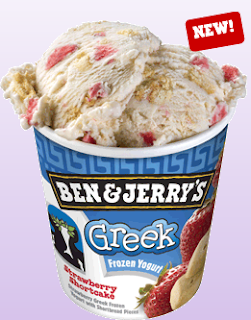 However, there's a dirty little secret about Greek yogurt (I was surprised about this one too). 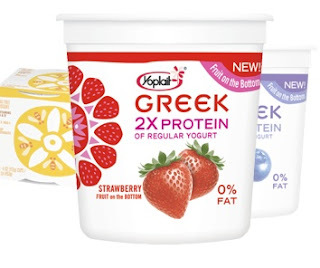 In the rush for all the major companies (Dannon, Kraft, and grocery store brands) to cash in on the Greek yogurt frenzy, the special straining process that makes greek yogurt so thick and delicious is being completely overtaken by food science. (You're shocked, I know...) Rather than straining their yogurt, an expensive and time consuming process, many companies are simply using thickeners to create the same rich effect. 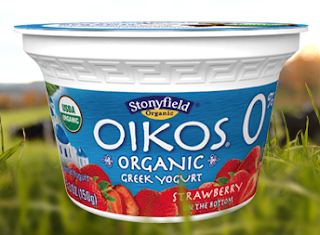 If your greek yogurt has any "milk protein concentrate", "gelatin" or "corn starch" in the ingredients list, it's not Greek yogurt. It's artificially thickened fruit on the bottom. You have to read the label. Yoplait is a big faker. So, then comes the very important question. What about Frozen Yogurt??!! Well, again, you have to read the label. (Bah...more work...). 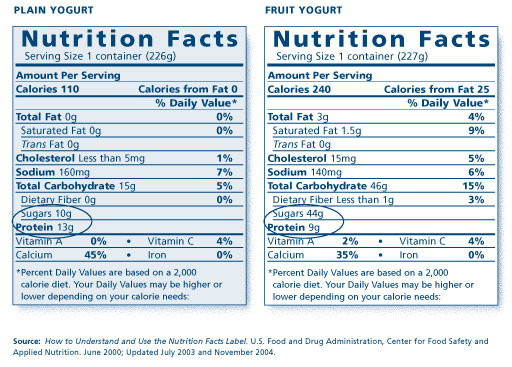 Some newer frozen yogurts contain live active cultures. But, if they're not on the label, they're not in the container. Freezing may also damage some of the cultures, so there is probably less in the frozen variety than that found in your fridge. 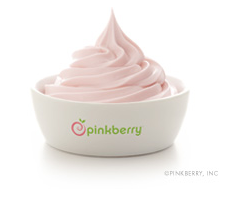 Pinkberry. Heart of my heart. Life in Fro-Yo moderation, people. Newer PostMotivation to Move...November Project.